D.M. Eissenstat and R.D. Yanai, The Ecology of Root Lifespan. P.J.A. Burt and D.E. Pedgley, Nocturnal Insect Migration: Effects of Local Winds. P. Lavelle, Faunal Activities and Soil Processes: Adaptive Strategies that Determine Ecosystem Function. P. LaVelle, Faunal Activities and Soil Processes: Adaptive Strategies that Determine Ecosystem Function. L.L. Handley and C.M. Scrimgeour, Terrestrial Plant Ecology and 15N Natural Abundance: The Present Limits to Interpretation for Uncultivated Systems with Original Data from a Scottish Old Field. M.G. Ryan, D. Binkley, and J.H. Fownes, Age-Related Decline in Forest Productivity. Subject Index. Author Index. This volume contains papers highlighting the diverse interests of modern ecologists. Areas covered range from physiological and evolutionary ecology to ecosystem ecology. Papers address the longevity of roots, the importance of wind dispersal to the population ecology of nocturnal insects, the different functions of soil fauna, 15N abundance in an old field ecosystem and forest productivity. This volume will be essential for all ecologists. 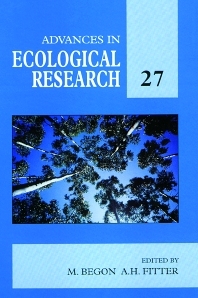 Ecologists; researchers in environmental, marine, and plant science. Department of Biological Sciences, University of Essex, U.K.